Massive statue on top of the Iwo Jima Memorial (formally the Marine Corps War Memorial) in Arlington, Virginia, next to Arlington National Cemetery. 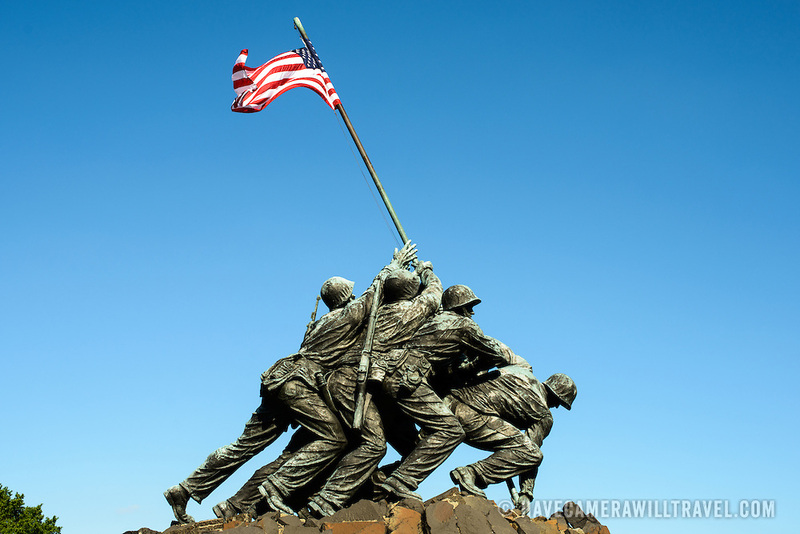 The monument was designed by Felix de Wledon and is based on an iconic Associated Press photo called the Raising the Flag on Iwo Jima by Joe Rosenthal. It was dedicated in 1954.